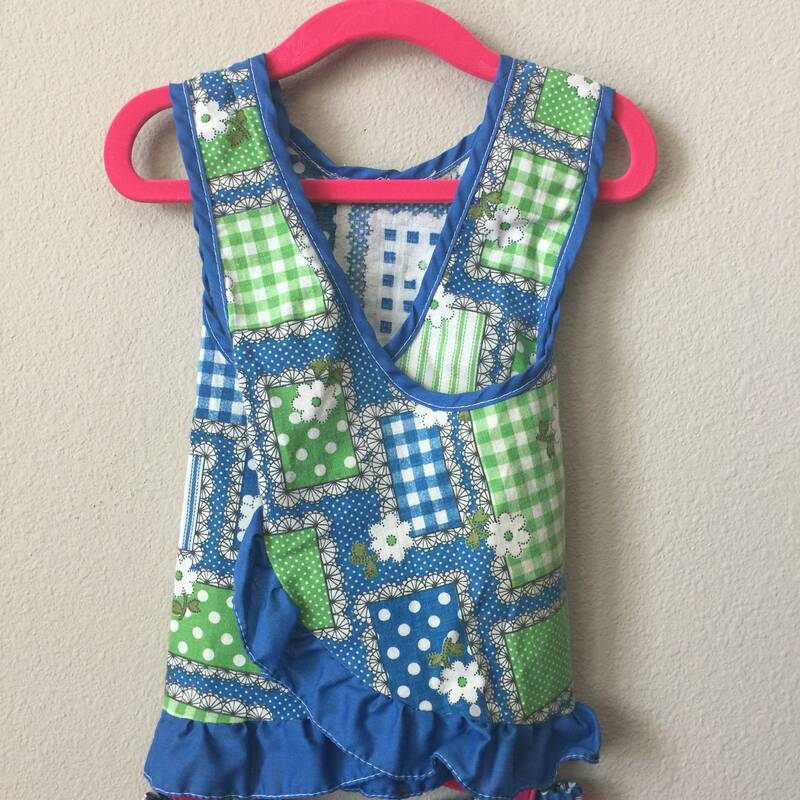 Handmade vintage cross back top and bloomers set. 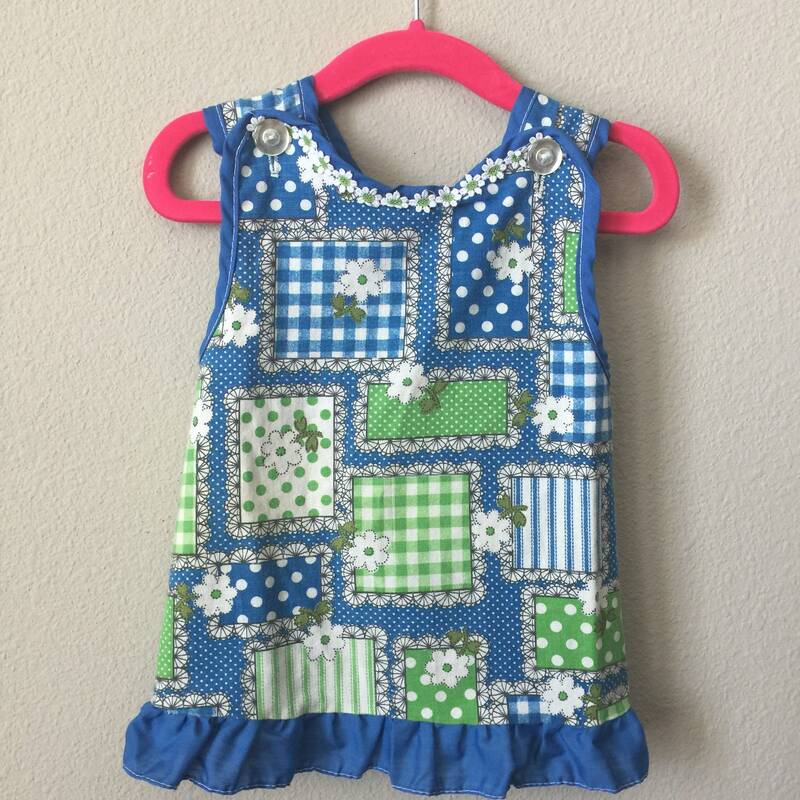 Top features daisy trim at collar and criss cross open back, with matching bloomers. 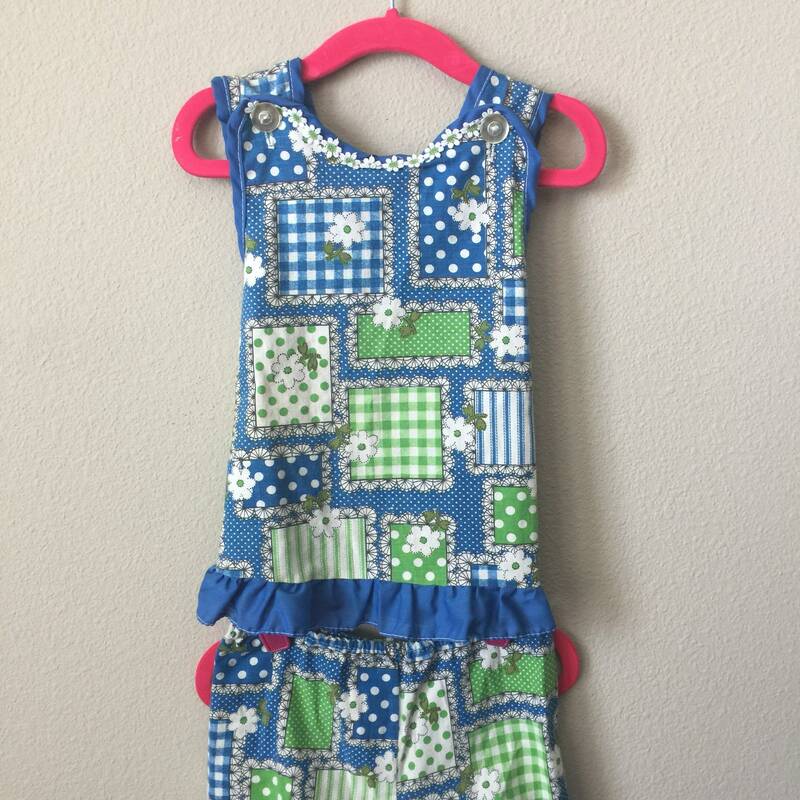 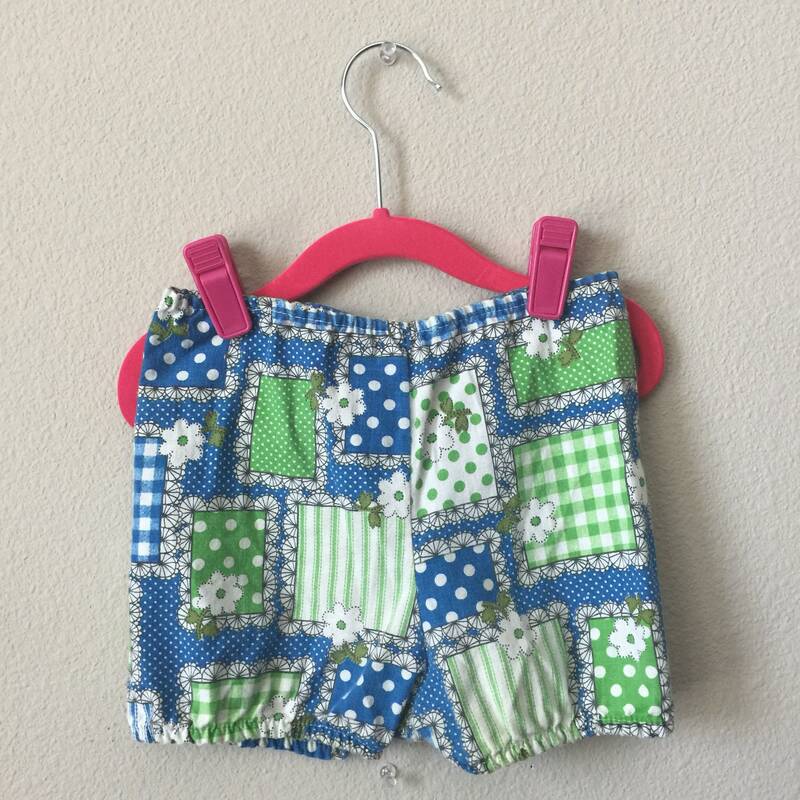 Fits approximately a size 3/4T.